If you’re looking for a ride that can give you versatile options – say, an off-road experience or luxury features, consider the 2019 Jeep Renegade! No matter which of the four trim levels you choose, you’re certain to find all the aspects you love in an automobile when you select the 2019 Renegade! At Doug Henry Chrysler Dodge Jeep RAM, we offer an extensive selection of vehicles for you to choose from! Don’t believe us? Take a look at our inventory on our site. To help you narrow down your search, we’ve included a variety of helpful filters. Simply select from body type, models, price, year, features, and more. You’re certain to find something you love! In order to help you learn more about the 2019 Renegade and all it has to offer, we’ve taken a closer look below. Keep reading for more information! The standard engine offered with the 2019 Renegade is a 2.4-liter four-cylinder that produces 180 hp and 175 lb-ft of torque. For the top two trims, the Limited and the Trailhawk, a turbocharged 1.3-liter four-cylinder delivering 177 hp and 200 lb-ft of torque is optional. A nine-speed automatic is standard. 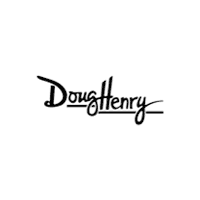 At Doug Henry Chrysler Dodge Jeep RAM, we offer an incredible inventory filled with a wide array of makes and models. We understand how important it is to provide plenty of options for drivers. That’s why we always try to offer an extensive selection. In addition to this, we provide countless deals and specials for you to take advantage of. The catch? Our special offers are only for a limited time. The prices you see on our site today could be gone tomorrow, so don’t wait. You don’t want a great deal to slip through your fingers! You’ll find our dealership conveniently located at 4051 W Vernon Ave, Kinston, NC 28504 which means residents of La Grange, Warsaw, and Goldsboro are just a short drive away. During your visit, our team of specialists will be more than happy to sit down with you to go over your options. We’ll help answer your questions, listen to your concerns, and offer our expertise when it comes to your dream ride. Feel free to stop by and take a test drive today! We look forward to seeing you soon.